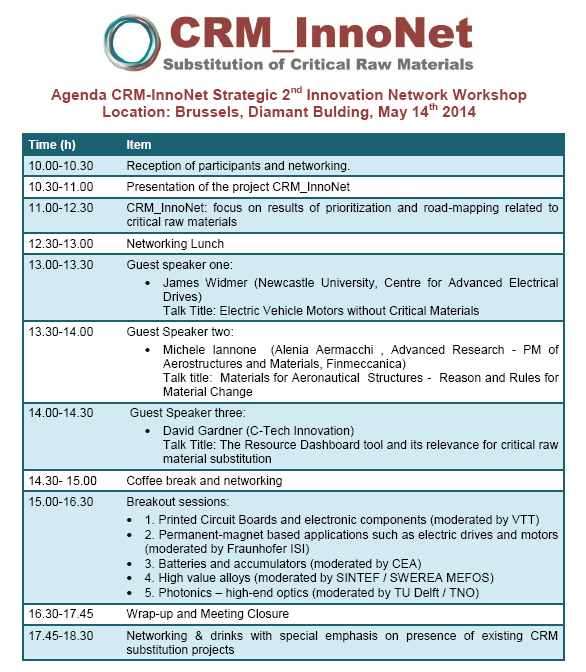 The CRM_InnoNet project funded by the European Commission under the FP7 programme is organizing the second Innovation Network Workshop in the field of substitution of critical raw materials. Special focus will be given to strategic sectors such as Energy, Transport and ICT with the presence of key speakers as well as participatory activities. 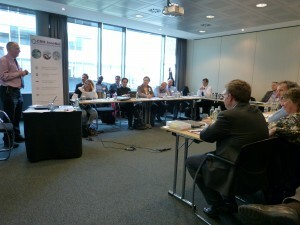 You can visit our website page http://www.criticalrawmaterials.eu/news-events/innovation-network-outputs-and-presentations/ for information and the key speakers’ presentations of our first event attended by more than by 120 delegates representing 87 organisations inside and outside of the EU. The event is open for all stakeholders who are involved in the whole value chain of Critical Raw Materials and willing to exchange ideas and visions for enhancing the competitiveness of the EU R&D&I, industry and economy in the area of substitution of Critical Raw Materials. The venue will be held on the 14th of May 2014 in the Diamant Conference & Business Centre- 80 Bd. 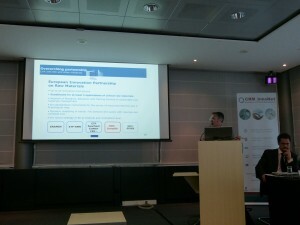 A. Reyers LN- 1030 Brussels. The attendance is free of charge1.